You’ll probably find more sneakers than boots hitting the ground on Broadway in Nashville, Tennessee this weekend as more than 25,000 runners are set to compete in the 19th annual Rock ‘n Roll Marathon Series® race. 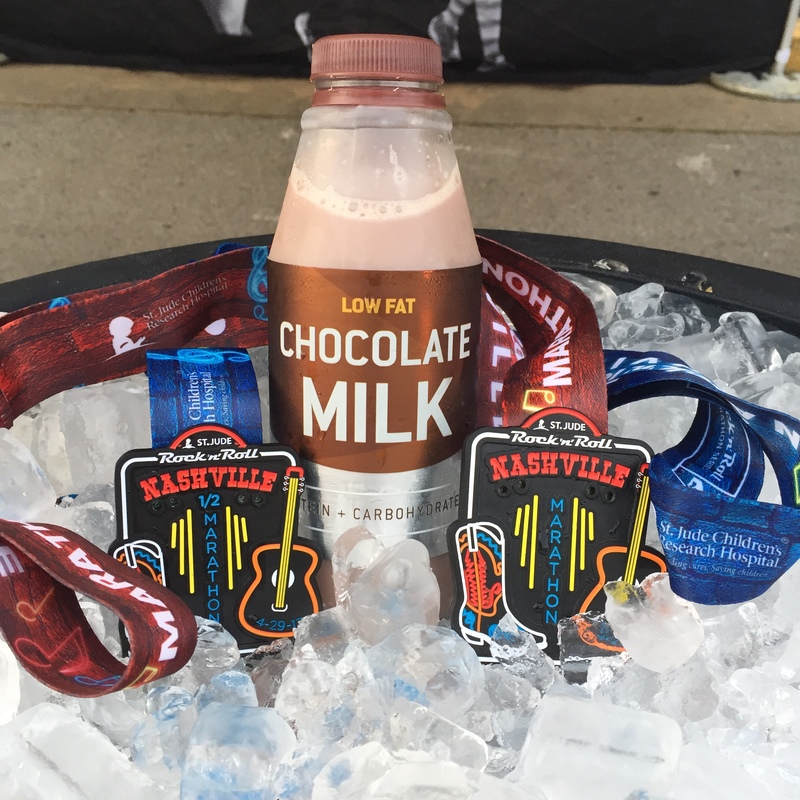 The course begins among Nashville’s famous honky-tonk bars, ends with a concert in Nissan Stadium (home of the Tennessee Titans), and features live music at every mile in between. Music isn’t the only motivation this weekend. Purity Dairies will also be there handing out ice cold Purity TruMoo® chocolate milk at the finish line. More than just a sweet reward, low-fat chocolate milk provides electrolytes, protein, and carbohydrates, making it the perfect recovery beverage for long-distance runners. There’s even a Team Chocolate Milk for athletes who understand how effective low-fat chocolate milk is in helping them rebuild muscle after exercise. Meet five of the runners who will be competing from the team this weekend. Lynn Furman has been racing long distance for over 40 years. She is an inspiration to young runners, showing that long distance racing is a lifelong sport maintained through dedication and commitment to a healthy lifestyle. Lynn recovers with low-fat chocolate milk because it helps speed up her recovery from long races, and it’s a tasty treat! Daniel Costello Jr. is an avid sports player competing in rugby, soccer, and basketball on top of his long distance training. In all of his activities, Daniel likes to recover with low-fat chocolate milk because it helps rebuild his muscles after a long run. Nate Ringenberg is a former collegiate football player turned endurance runner. He fuels his recovery with chocolate milk because the carbs to protein ratio help his muscles rebuild after tough workouts. Michael Teske is no stranger to adversity after being diagnosed with Multiple Sclerosis in 2002 and Liposarcoma in September 2017. As a natural competitor, it’s no surprise that Michael is an IRONMAN, a goal he achieved in 2016. This year, his goal is to beat cancer and complete two full marathons and two half IRONMAN competitions, with hopes to set personal records in both events. Michael chooses chocolate milk to recover because the protein helps rebuild and repair his muscles after a strenuous workout. Ashley Murphy is a teacher by day and a half marathon runner by night. She started using chocolate milk as a post-workout recovery drink five years ago and hasn’t looked back since. Ashley says that chocolate milk is great for repairing her muscles after tough workouts, helping her get to her next adventure quicker. To these Team Chocolate Milk runners, we at The Dairy Alliance and all the dairy farm families across the Southeast wish you the best of luck!